If you've ever asked yourself, "How on earth do I find the right kitchen designer? ", this article is for you. 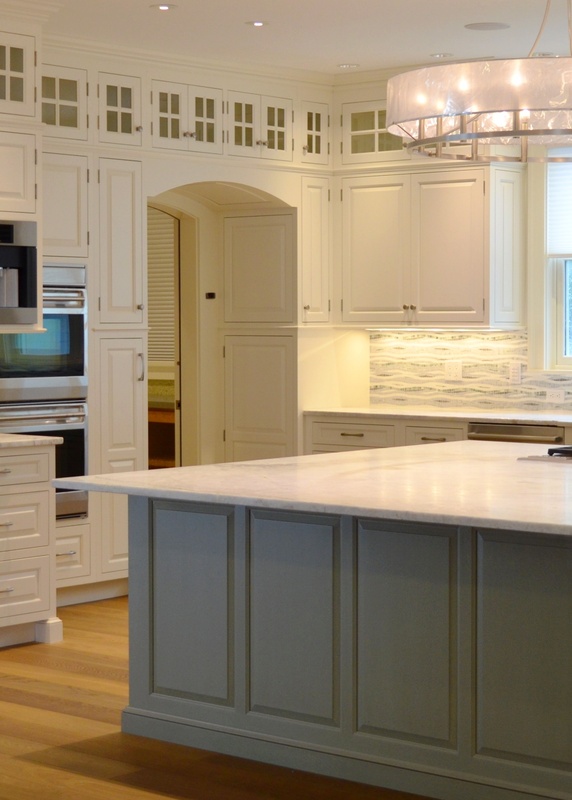 A professional kitchen designer is the glue that holds your dream kitchen together. They can take almost any idea you have and make it come to fruition. 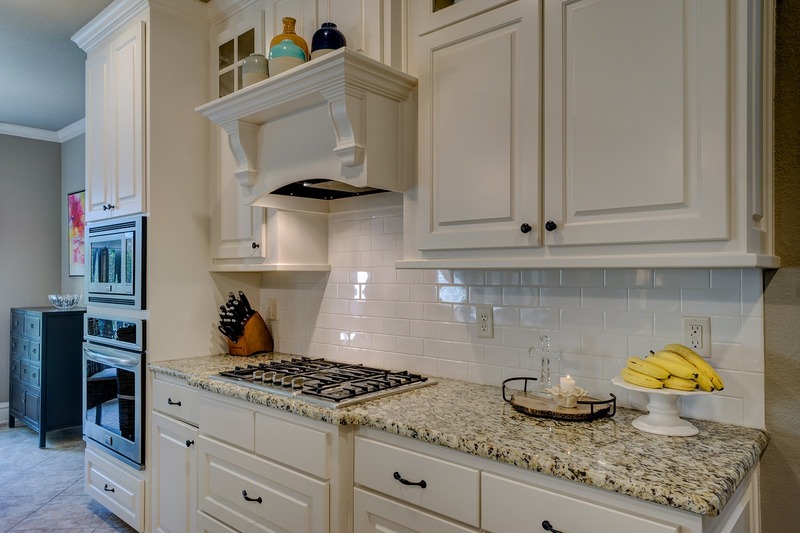 Because remodeling your kitchen can be a very involved and lengthy project, you absolutely must choose a designer that you can work with through every stage of the process and still like them after weeks or months of eating take-out food. 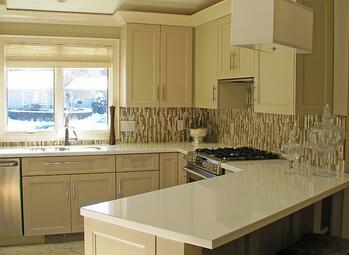 You can start your search for a good kitchen designer by drilling your family and friends for referrals. Not only can you get the real skinny on the pros and cons of individual kitchen designers, you can see firsthand how their designs look in real-life and how well they function. Realtors, builders architects and remodeling contractors can also provide a list of local kitchen designers in your area. Once armed with some names, look for these often neglected, but important traits in a designer: professionalism, experience, ethics, quality of work and the reputation of their company. Let’s start with professionalism. If your designer is a no-show, no-call on the first appointment, move on. First impressions really do matter. This behavior can give you a pretty good hunch on how the designer will prioritize your project. On to the kitchen designer interview process. Yes! I said interview. You are hiring the kitchen designer. Sometimes it may feel like they are in charge. But if you are the one paying the designer, you are the boss. So interview candidates for your 'kitchen designer job opening' to make sure you are getting the most qualified one. 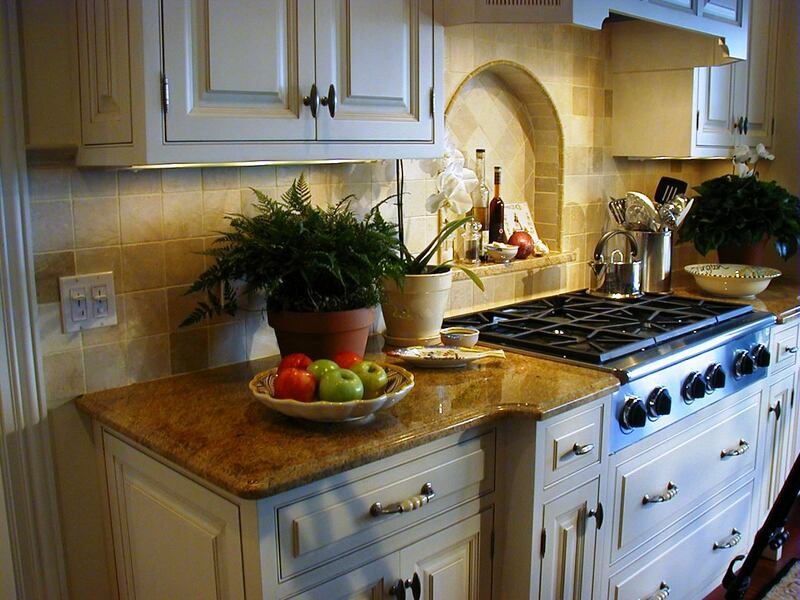 Some kitchen design firms will offer a free consultation to motivate you. When you meet with the kitchen designer, make sure you are comfortable with their approach; that they speak in terms you can comprehend and give you as much information as you want. The right designer will also have ethical values in line with yours. Quality of work of the kitchen designer and reputation of the kitchen design firm is also a must-have. Check out some of the work they have done. Ask around about the reputation of their company. If their work meets your standards, that's a good sign. If the reputation of their company is a good one, that will help you for years to come. Due diligence is a pesky task, but can save you money and lots of heartache in the long run. It is important to work with a designer and not against one. Remember, you are the boss, here. Your ideas should be at the core of the design and the designer should work in concert with you to build upon them. The end result should be a manifestation of your dreams and a discerning designer’s skills. Meet with several designers to compare ideas and budgets and ask for references. Reputable designers will be only too happy to showboat their work for you. Reputable design firms carry adequate insurance and require signed contracts before they begin working with you. Don’t be intimidated by this. They are necessary measures and are there for your protection as well as for the designer’s. These contracts spell out exactly what you can expect and what happens if you either one of the parties falls short. They are kind of like pre-nups for kitchens. Because in the end, when you both walk away you both want to walk away happy. Remember, YOU are the best advertising a designer has! Understand what role your designer will play before you hire them. Regular updates are critical to the remodel/design process, especially if you are delegating much of the decision making to your designer. Some designers will only contribute during the design process; others will act as project managers throughout the construction period and still others will offer you an entire kitchen package from conception to completion. The more you do before you begin your project, the less you will have to worry about later. In the end, taking the time to find the right kitchen designer to meet your needs will help you get the dream kitchen you’ve always wanted so you can live happily ever after. So you’re finally going to do it! You really are… you’re going to re-do your kitchen… Yeah! You’ve been gathering ideas for months (or if you’re like most people, probably years). You keep the obligatory stack of magazines with sticky notes fluttering on page after page of gorgeous photos beside your bed (what better way to slip into kitchen dreamland). You’re constantly flipping through pages saying to yourself… “I wish!” …. Well, the truth is, sometimes that’s all you have to do. If you can “wish” it, you can most likely make it happen. That’s not saying that you don’t have to be realistic, honest and open to ideas or suggestions. Once you’ve embraced the idea that you can have your “wish” kitchen, the next step is find the right design professional to help you make it happen. “Oh no!” you think to yourself, “I can’t afford a kitchen professional”…. The truth is you really can’t afford to not work with a kitchen design professional. You’ll find that most kitchen designers, kitchen design centers and custom kitchen companies offer their professional design services as part of the entire kitchen “package”. That’s not to say that you won’t be “paying” for their efforts, these services are usually incorporated into the total cost of your project. 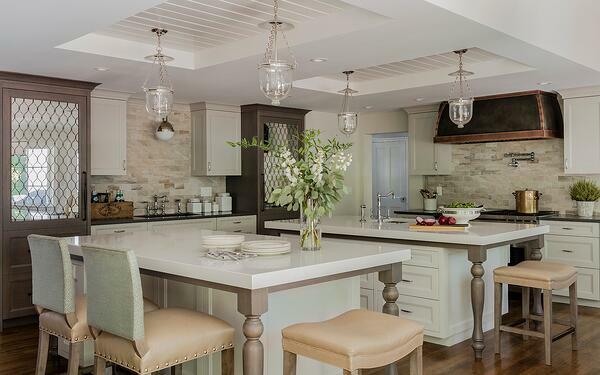 Most designers are banking on the hope that once they’ve wowed you with their ideas, you’ll sign on the dotted line to purchase cabinetry, maybe counter tops and other services from them. On the flip side, if you don’t feel it’s a good fit and you choose not to hire that company to design your new kitchen, unless you’ve agreed to pay a design fee, non-refundable deposit, etc… you can usually walk away with nothing out of your pocket. But, hopefully you’ll have ideas of what you do and don’t want in your new kitchen. The key is for you to find that design professional that’s the right fit for you and your project. A good kitchen design professional will bring many things to your experience. They are a wealth of design knowledge. They’ve seen trends come and go. They’re color analysts, babysitters (discussing framing beads while baby Emma sits on their lap), they’ll go to bat for their clients with bullish contractors, they find the perfect counter top to go with that dreamed-of baking area, they’re part time marriage counselor (often sitting between a husband and wife at the critical moments)…. But above all they will always be cognizant of how you live, how you envision using your new kitchen, and what your realistic budget is for the entire project. 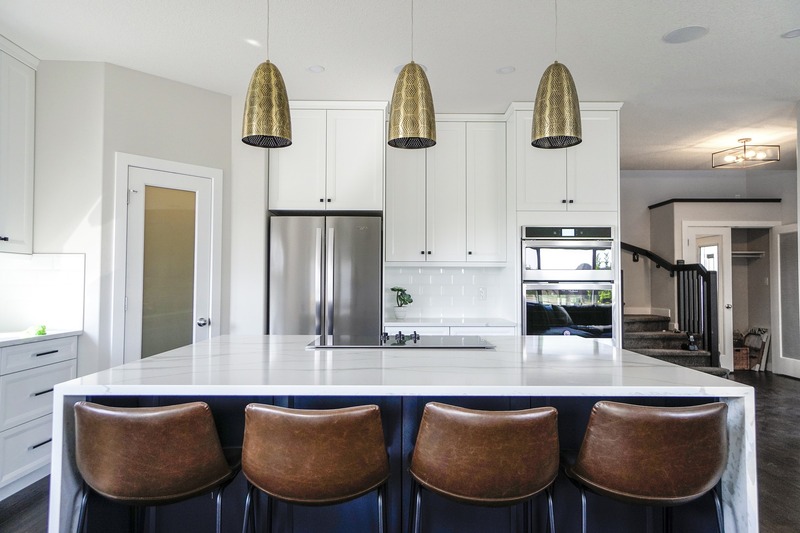 A good kitchen designer will help steer you towards the products that fit within your budget, the finishes and styles that you’ve been envisioning in your new kitchen and the amenities that will create a highly functional space for the way you live. Once you’ve found that professional, and you will….get ready for an exciting experience… one that will lead to many years of happy times and cherished memories in a beautiful new kitchen that you “wished” into reality…..